HE missed the cut at the Irish Open by some margin, but Harry Diamond (Belvoir Park) believes he can take plenty of positives from his experience into this week’s North of Ireland Championship at Royal Portrush. 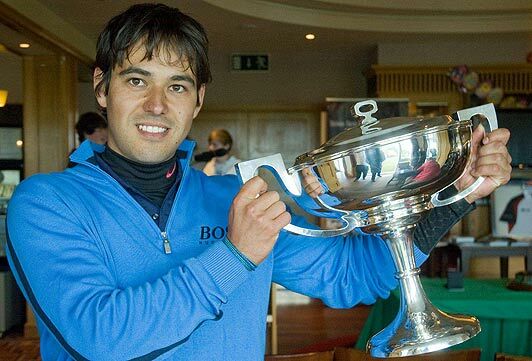 “I really enjoyed myself,” said the 27-year-old who won the West of Ireland Championship back in April. The bar manager, who lost out to Patrick McCrudden (Royal Portrush) in last year’s final, bowed out at the half way mark after carding rounds of 77/74 on the Dunluce Course but was particularly pleased with how he coped in the professional arena. “On the first day I teed off from 10 pretty early and I thought I would be a lot more nervous than I really was but then coming round off 18 onto the first I started getting really nervous because there was a decent crowd there and the first hole is so different with the tented village up,” he said. “Certainly the second round starting from the first was probably the most nervous I had been all week. 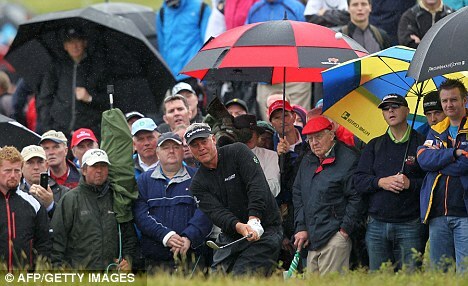 There was a quite a big crowd at that stage and a few guys shouting at me ‘come on Harry’. “I was definitely more nervous playing in the Irish Open than I was playing in the final of the North last year or this year’s West. That has got to be a good thing. You know the more you play in situations like that, the less nervous you feel. Harry was joined in the Irish Open field by three other amateurs, Dermot McElroy, Alan Dunbar and McCrudden, none of whom managed to make the cut. McElroy and McCrudden will be in the field for today’s opening qualifying round while former champion Dunbar has opted out ahead of his Open Championship bow at Royal Lytham. Harry has been consistent, without being spectacular since winning the West. He finished inside the top 10 at the Irish Amateur Open but failed to make any impact at the Irish Close Championship which was at Royal Portrush in late May. “I don’t think I have been playing any worse or any better than I was at the time of the West,” he added.